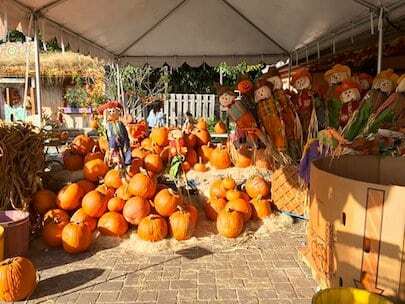 Flamingo Road Nursery is excited to host our Annual Fall Festival each year from the end of September to the first week of November! 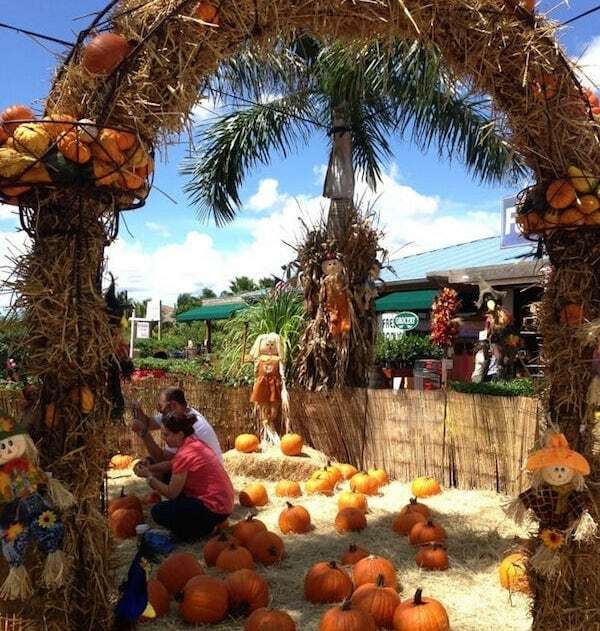 We truly love to celebrate life in the tropics but our 10 acre garden center is transformed into a Fall paradise that more resembles New England ! Cornstalks, hay bales, mums, pumpkins, scarecrows and fall colors are everywhere you look! 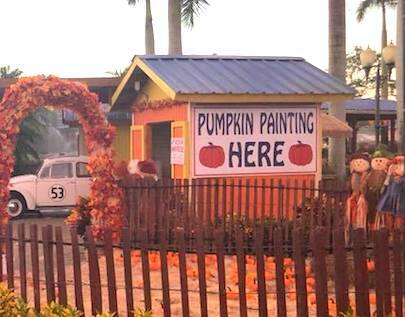 We feature the “Biggest and Best” Pumpkin Patch and Grandma’s Garden provides the backdrop for treasured family photos. Our 6 week Fall Festival features a theme every week, including Pepper Palooza, Tomato Fest, and Tropical Fruit Celebration! Antique tractor-pulled hayrides to “The Davie Moonshine and Fish Camp” are offered every weekend, along with kids crafts, live music and lots of delicious food! Please mark your calendar and make this a family tradition, as thousands of South Floridians already have. We kick off the holiday season with truckloads of fresh cut Fraser firs arriving from our tree farm in North Carolina. Our huge shade house is transformed into a “Christmas Tree Forest” where hundreds of trees are standing in water for easy selection and extended life. Choose from over one thousand poinsettias to add holiday magic to your home. 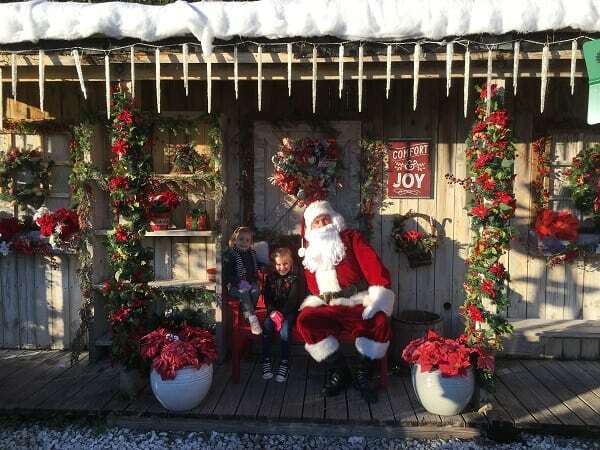 Sleigh rides to Candy Cane Village are offered every weekend during our Christmas Celebration, along with live music, reindeer crafts and free photos with Santa at Grandma’s Garden. 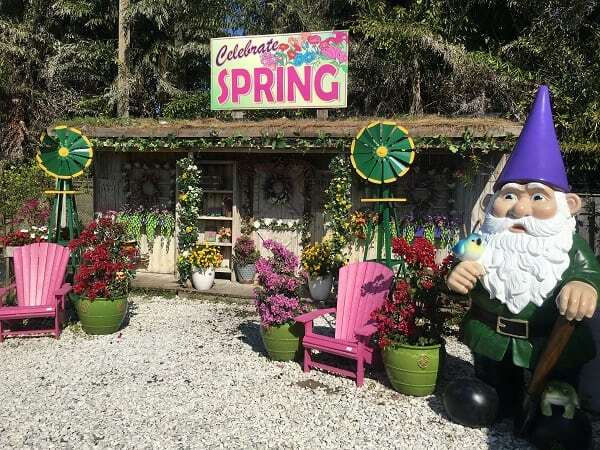 Come celebrate Spring in the colorful gardens at Flamingo Road Nursery! 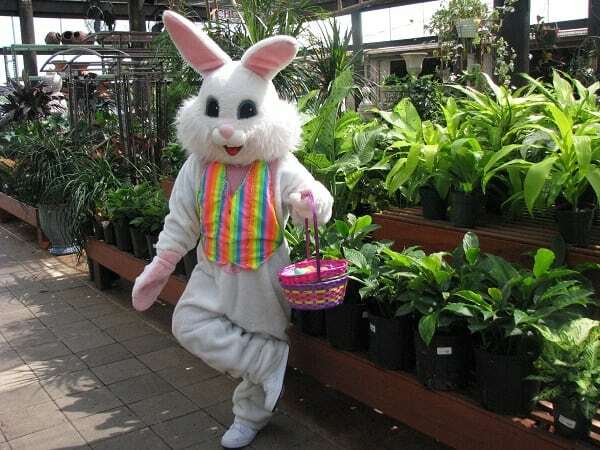 Our Easter Bunny roams the garden center giving away candy and posing for photos! Your child will enjoy coconut painting – that’s our tropical spin on egg painting! Every Spring, our gardens are crawling with thousands of Louisiana mudbugs! 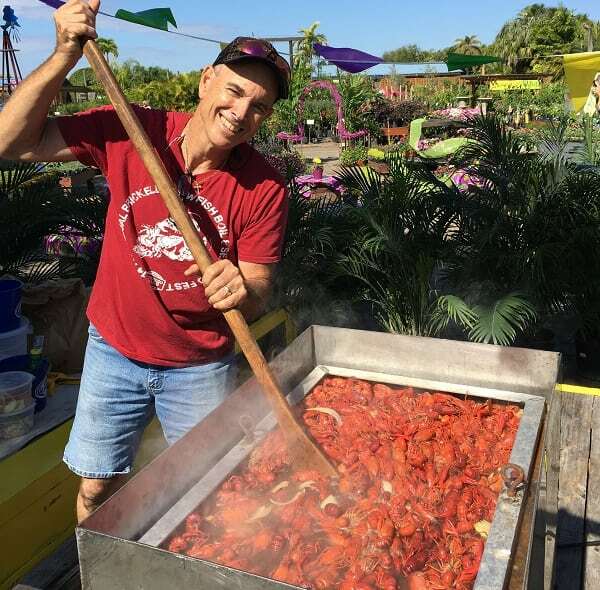 These delicious crawfish are boiled to perfection on site – and served up with jambalaya, cajun corn and red beans and rice. The atmosphere is completed with Zydeco music that’s fun to dance to for adults and children alike! Don’t miss out on these great festivals and more! Join our Garden Club and receive email notifications of upcoming events!! 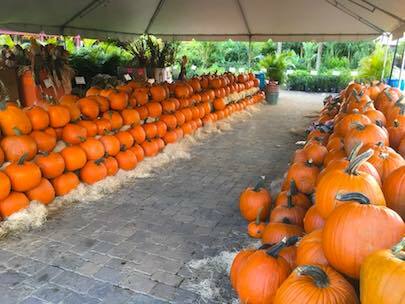 View Fall Festival Information here for Flamingo Road Nursery, a garden center and farmers market serving Davie, Sunrise, Plantation, Miramar, Hollywood, Pembroke Pines, Fort Lauderdale, and surrounding FL communities.